in the immediate vicinity of well-known and a variety of seaside resorts , in close proximity also in the city centre and all the services , characteristic single villa completely surrounded by a large garden of exclusive pertinence, and internally composed of entrance , living room with kitchen , double bedroom , second double bedroom , twin bedroom , bathroom with shower and bathroom with bath ; excellent condition of the interior, thanks to a careful and constant maintenance made by the current part promisor seller ; heating system through the radiators ; the beautiful natural surroundings and stunning views of the gulf are just some of the features that make this property unique in its kind ; the property includes a comfortable sea-facing infinity pool ; thanks to its characteristics, the property lends itself perfectly to being conceived as the first prestigious residence to live throughout the annual period , alternatively, as a second house of luxury to your vacations , even as an investment for made of soft chiffon mater income from summer rentals. in exclusive location , within the fresh context of privacy and confidentiality , in the immediate vicinity of the many famous seaside resorts , single villa arranged on one level , internally comprising entrance hall , living room with kitchen , sleeping area consists of a double bedroom , second double bedroom , third double bedroom and two bathrooms with shower ; the entire property is surrounded by a large plot of exclusive pertinence of about 1500 sqm fully fenced , partially cured , in part a the woods in addition to ensuring a quiet unique in its kind , contributes together with the beautiful setting of mediterranean vegetation , to give a certain particularity to the environment in its totality ; heating system through the split-generating the hot / cold ; good state of the interiors, the vila has a small swimming pool with heating and jacuzzi perfect place to spend moments of pleasant relaxation ; various outdoor spaces , terraces and garden, tiled bathroom complete the object in question ; thanks to its characteristics the property in question lends itself perfectly to being used as a second luxurious home for their summer holidays. CAPOLIVERI: very close to the famous beaches of Lacona and Margidore, strategically located and very convenient location between the towns of Porto blue and Capoliveri Portoferraio, private location, detached house of about 100 square meters, internally comprises entrance hall, living room with kitchen, two spacious bedrooms and bathroom with shower. Small porch placed in front of the living area and accurate exclusive private garden, surrounding the property. Thanks to its features the 'object in question is perfectly suited to be used and experienced as a second residence during the summer, alternatively as investment income gains or losses realized by summer rentals. Very good condition of the interior. 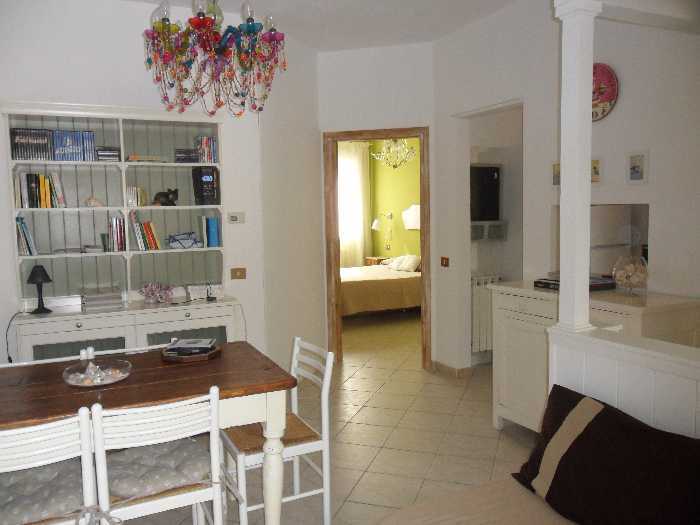 CAPOLIVERI: a few hundred metres from the centre of the country , in a panoramic position , independent villa on four sides, internally consists of : large lounge , kitchen , double bedroom , single bedroom , large bathroom with jacuzzi, second bathroom with shower . the sea-view terrace , ample car parking and a small garden of relevance ; and various local accessories complete the property; beautifully furnished. Thanks to its characteristics, the subject matter lends itself perfectly to being used as a primary residence to live all year round or as a second home for your vacations. 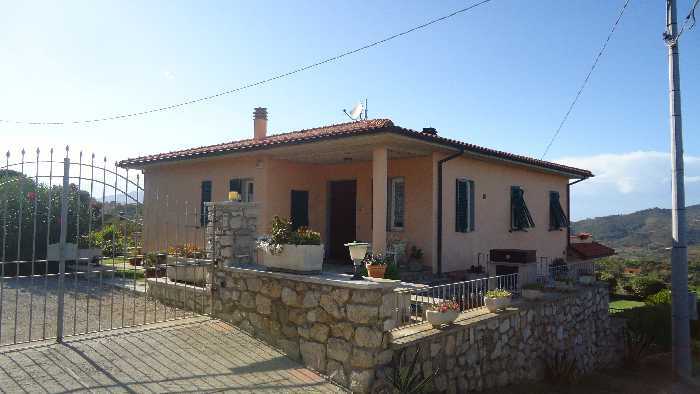 CAPOLIVERI: villa for sale of 150 square meters located in a hilly area with sea view on the gulf of Porto Azzurro and Portoferraio. Internally the ground floor consists of :large living room with kitchenette. Two bedrooms and a bathroom with bath and shower. Small box of 20 square meters adjacent to the villa From the lower floor through internal staircase leads to the first floor composed by three rooms with bathroom. The panoramic terrace overlooking the sea. First floor at the crude Complement the property sqm 1,800 of the garden. The possibility of building a swimming pool. Excellent state of the building. Gas central heating. CAPOLIVERI: near the center of the village, in a residential newly built detached house in the specific issue of land-roof house with outdoor space, porch and balcony with sea and hill; Internally it composed of the ground floor entrance hall, living room with kitchen, bedroom and bathroom; upstairs a double bedroom, a twin bedroom and a bathroom with shower; small living outside terrace; nice finish. The house is on two levels totaling approximately 100 meters. use of swimming pool and solarium. quiet location halfway between the village and the sea all set in the context of the Mediterranean vegetation. Monthly charges morigerate.